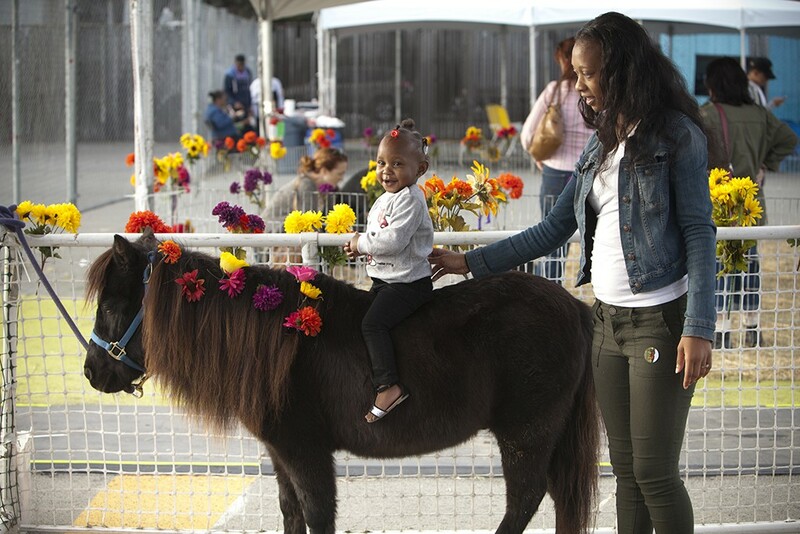 To celebrate the end of Fall and a successful first year of programming, NOW Hunters Point held a Fall Family Fun Day on Saturday, November 15 from 1 – 4pm. A total of 109 adults and children attended the event which featured a petting zoo, circus games and face painting. The event also included sharing of neighbors’ stories recorded on Site by StoryCorps, ideas for the future of the Site, and BBQ provided by PAC member, Oscar James. Importantly, this event continued to advance our partnership efforts. Bayview Opera House was a co-sponsor and supported us in the outreach and staffing. We also worked again with APRI on outreach as well as training and hiring of four youth. Two of them had participated in a Youth Design Workshop a few weeks ago.